Although it has felt like winter lately, Spring is here and with it comes the annual rituals of spring cleaning. Milder weather is the perfect time to spruce things up and to fix the things that have broken and fallen into disrepair throughout the year. Likewise, it is satisfying to toss out the unnecessary junk that has accumulated over the months. We know that even if it’s no fun, regular household maintenance is necessary to keep problems from becoming too big or too costly as well as to keep things looking good and working well. So, it’s important to take some time and make a special effort keep our surroundings in tip top shape. Although we don’t think of marriage the same way we do a house or a lawn mower, intimate relationships have the same maintenance needs as a home or a piece of machinery and require the same kind of care to keep things running smoothly. Just like with your house, problems develop over time which can be ignored or avoided. For many busy couples, it is easy to neglect things like romance or personal appearance. Likewise, over the years, annoying personal habits can grow into inconsiderate sources of irritation. Taking some time to talk about the problems while they are small is a good way to prevent them from becoming big and unmanageable. It is encouraging to realize just how little effort it actually takes to plan date nights or to give your wardrobe a new coat of paint. Likewise, just understanding that good and lasting relationships just don’t happen but require ongoing care, will help you to pay attention and make the extra effort to communicate with and be considerate of your mate. 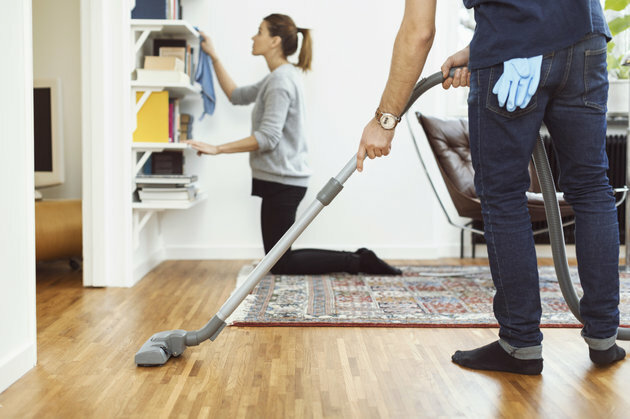 So, how long has it been since you and your spouse have done a little marital spring cleaning? It is never too late to start. Developing this ritual for your marriage is an important part of regular relationship maintenance and is easy to do. A little spring cleaning can pay off in big dividends and ensure that you and your mate a have a long and satisfying life together!